Movement and stories to develop skills. 3-5 years. Music is vital to the development of language, listening skills and reading. Singing is an important early literacy practice and a key way children learn about language. Movement education is a basic physical education that promotes the development of gross motor skills and spatial awareness. Combine all three! Join us for a dynamic early literacy program geared toward preschoolers and their adult. 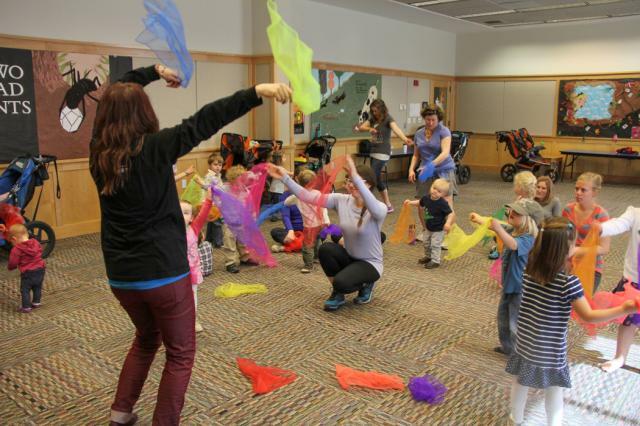 Move, dance, and wiggle to music, songs, and rhymes using manipulative elements like scarves, rhythm sticks, shakers, pom-poms and more!